It's SPRING! 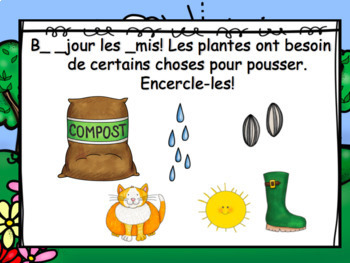 These fun French Daily Morning Messages by Bilingual Mingle are perfect for Kindergarten, Grade 1 and Grade 2 French learners! This set of Morning Messages is an integral component of the literacy program in my Kindergarten classroom. It allows me to introduce and engage my students in a variety of Shared Reading, Shared Writing and Oral Language lessons throughout the month of September. It also helps me to plan out my daily routine quickly and helps me to ensure that I'm touching on the important skills outlined in my curriculum and long range plans. 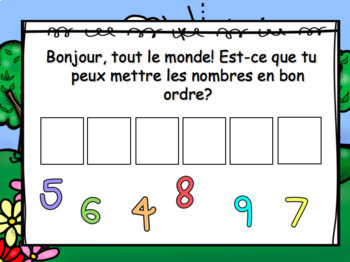 They are also a great resource for any support staff or supply teachers who work in your classroom! 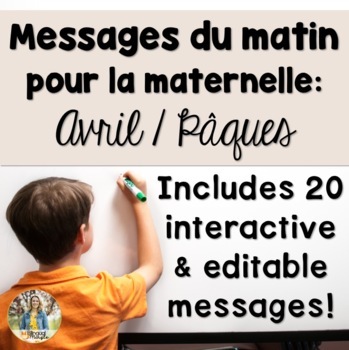 - Introduction of frequently used French words and phrases, such as "Je vois", "J'aime", "C'est", "le", "la", "un", "une", "il" and "elle"
These messages can be used exactly as is, or as "skeletons" for messages that reflect your own classroom routines and ideas. 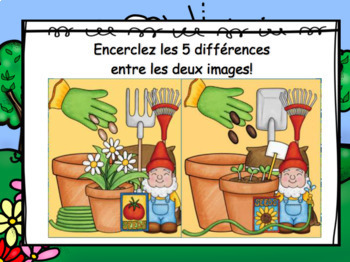 This is a .zip file that includes a .pdf file, a .docx file and a .ppt file. Please be sure that you have compatible programs before downloading.